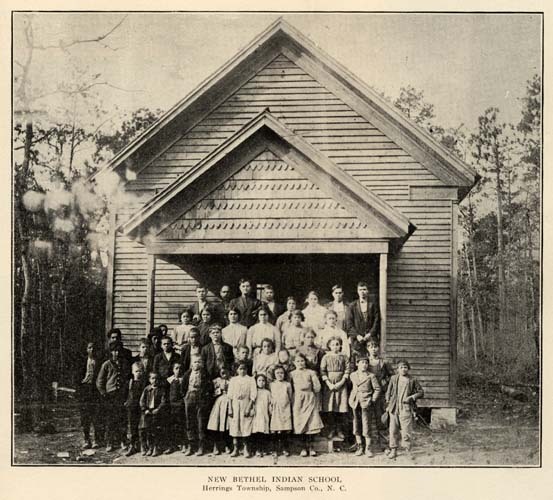 In 1916, the Croatan Indians of Sampson County issued a plea for an Indian School for their children as had been provided in Robeson County. This document is preserved today in the Documenting the American South collection, and includes significant genealogical information about several families. Not only is the document’s text included, but all of the images as well, many photographs of people who were born in the early-mid 1800s. At this link, you can read a summary of this document combined with a couple of other relevant documents from that same timeframe, noted below. This entry was posted in Croatan (Later Lumbee), Indians of Robeson County (later Lumbee), Indians of Sampson County. Bookmark the permalink.